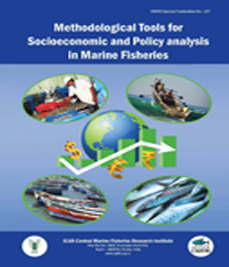 Abstract : Marine capture fisheries is an important component of the fisheries sector in India, generating livelihood avenues for an estimated 3.79 million fishers directly besides those involved in the secondary and tertiary structures concerned with fish marketing, processing and exports of fish and fishery products. Sustainable harvesting of the marine fishery resources is important in a scenario where there is large scale over-capitalisation in the sector and abrupt and long-term disruptions in environmental parameters due to climate change related processes. The Indian Oil Sardine, a major single species fishery in India accounts for 17 - 20% of the total marine fish landings. At the national level, in landing volumes it is the top ranked species during most years. 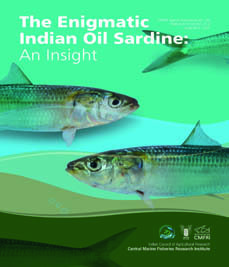 Among marine fishes, its importance as a favoured table fish and rich source of fish oils creates a unique position for the Indian oil sardine in terms of its economic value. However, the resource is prone to sudden fluctuations in abundance that makes it an enigma to researchers, fishers and managers. 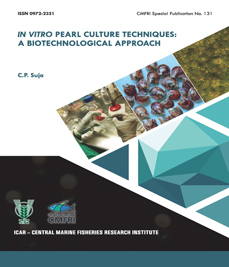 ICAR-Central Marine Fisheries Research Institute has conducted extensive research on the resource since its inception and several aspects of its biology, fishery and stock assessment have been reported periodically. 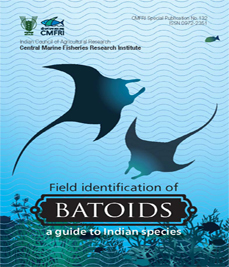 Considering the importance of this resource to the marine fisheries sector of India, it is important to compile all existing information and subsequent research insights to assist its efficient management along the Indian coast. 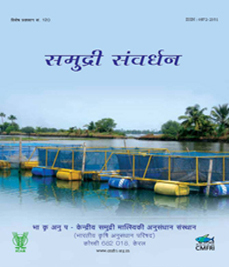 I am happy that the scientists of the Pelagic Fisheries Division of CMFRI have completed the task of compiling all recent information and analysed large amount of data collected pertaining to the Indian Oil Sardine in this document for the benefit of all stakeholders interested in knowing about this valuable fishery resource. Abstract : India is one of the major elasmobranch fishing nations in the world. With growing concern over issues of conservation and management of elasmobranch resources in Indian waters, particularly of those species that are vulnerable to over-exploitation there is a need to strengthen reporting of species-wise catch and trade data. Proper identification of elasmobranch species poses many challenges to researchers, stakeholders and policy implementing agencies since there are a lot of taxonomic ambiguities with a high degree of overlap of several identifying characters, added to the fact that these resources lack external meristic characters that can easily help with their identification. Species-wise catch estimates are important in assessing status of fisheries stocks and knowledge of prominent characters that can aid easy and almost accurate identification of a specimen in the field. 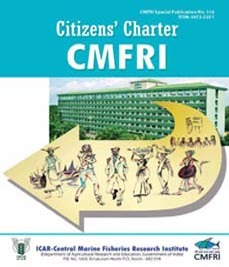 This assumes much importance in light of the fact that ICAR-CMFRI’s catch monitoring surveys are carried out at fish landing centres where the catches are disposed of at great speed, affording very little time for detailed examination of specimens. Abstract : A new Marine Biodiversity Museum was established at Kochi following the shifting of the headquarters of the Institute from Mandapam to Kochi. The Museum was inaugurated by Padma Vibhushan Prof. M.S. Swaminathan on 4th February 2006. The museum now holds around 2300 specimens of various categories such as fishes, echinoderms, molluscs, crustaceans, corals, seaweeds etc. These specimens are of fundamental importance to taxonomic, systematic and biodiversity studies. 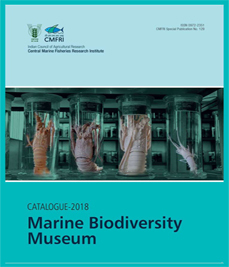 The first catalogue on Marine Biodiversity Museum comprised of specimens belonging to all the groups was published in 2012. The present catalogue prepared by the Marine Biodiversity Division of the Institute is expected to update the present status of the specimens in the museum as on March 2017. I am happy to bring out this catalogue in the year of Platinum Jubilee celebrations of CMFRI (1947-2017). The help and support extended by the previous Directors of CMFRI and Museum-in-charges are gratefully acknowledged. Majority of the specimens in the Museum represents the collections made by scientists of CMFRI as part of their research activities. The keen interest shown and the sincere effort put in by the scientists of the Institute in building up this Museum as an invaluable gift to those who pursue science need special mention. They have deposited their valuable specimens in the Museum and contributed in one way or the other to bring it to the present status. I congratulate all those who have been involved in the collection, preservation, identification and cataloguing of the specimens in the Marine Biodiversity Museum. 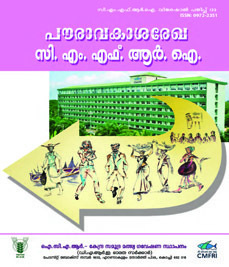 Authors : Imelda, Joseph; Ignatius, Boby; Joseph, Shoji; Vandana, V; and Uma, E.K.